The philosophy behind our design conventions is simple: Let the content speak. Legibility and simplicity are the essence of the NC State approach to design. Function counts here, not flair. Like the faculty and students we spotlight, our goal is to clarify the complicated for our audiences. To reflect our personality and brand platform, we use blocks, grids and structured elements. 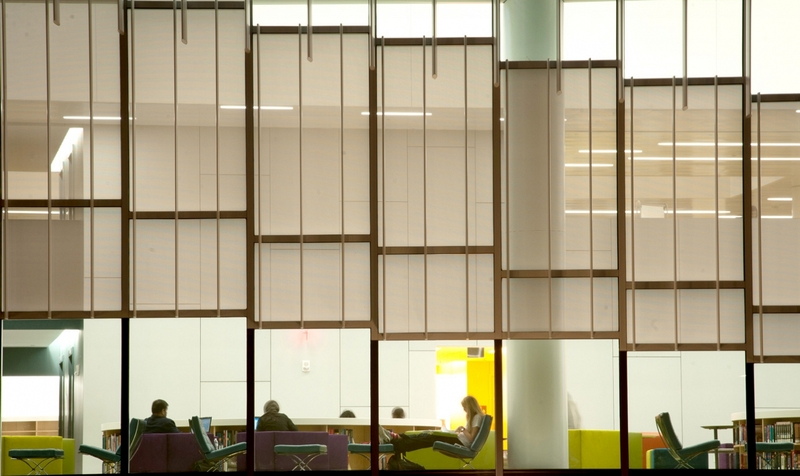 Blocks and grids are integral to the architecture of the Hunt Library. Our design conventions adopt a similarly hard-edged style. The intentional use of negative space and minimal embellishment will enhance your audience’s ability to understand your message. Distill your message to core elements. We keep our audience engaged in this undergraduate recruitment brochure by using large headlines, a single image and short, direct copy. The use of simple iconography and large numbers visually communicates information in a simple way that draws readers’ attention. Establish a bold look. Bold, unembellished use of typography and color, straightforward labeling and authoritative photo subject posture establish the tone of content inside the chancellor’s annual report. Less copy is more effective. 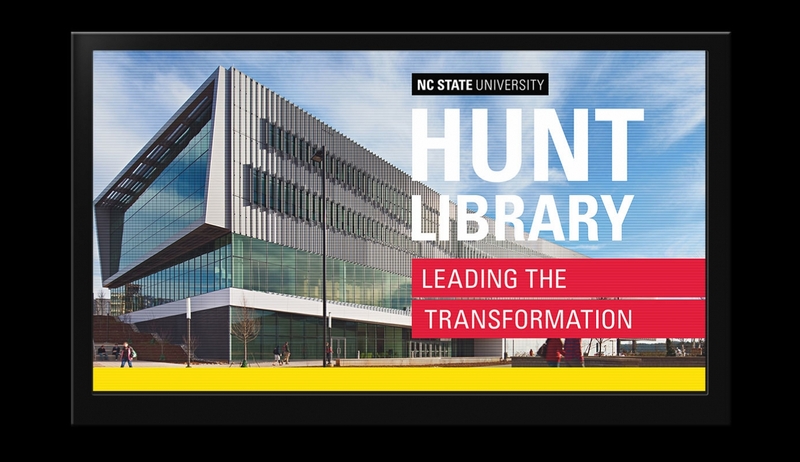 Bold typography and minimal content are especially important in environmental graphics, such as this electronic billboard promoting the Hunt Library. The viewer has little time to absorb the message, so be sure not to fill the entire space with copy. Our brand is always clear. This opening screen for videos, which you can download from our assets page, shows how to use type and logos over moving-image backgrounds. 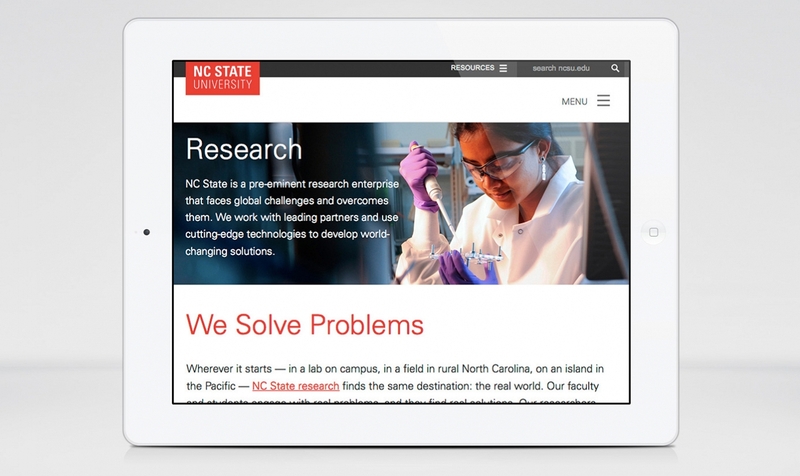 By making legibility a priority as you choose background content, you can effectively encourage viewers to take action by visiting the NC State website. We are deliberate in our use of colors, with Wolfpack Red dominating in all communications. 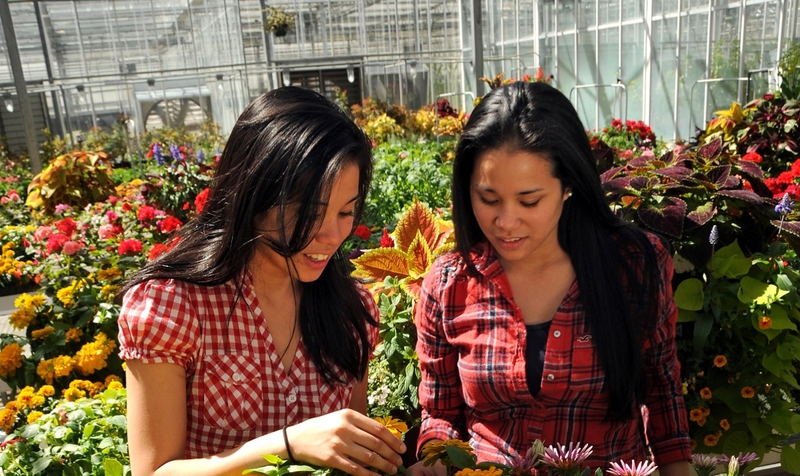 The approach is rooted in research, and our palette is a sophisticated reflection of NC State itself. 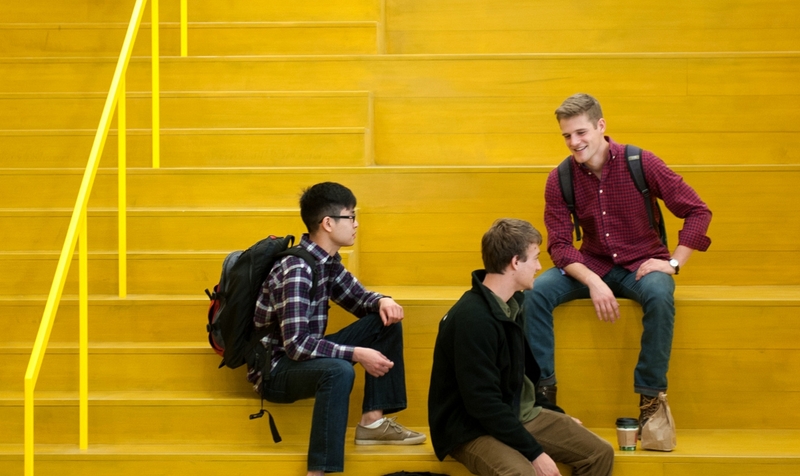 Talley Student Union: one of the most colorful places on campus. 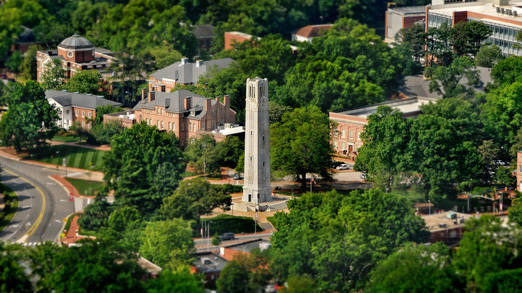 NC State is a modern place of hard edges and practical thinking. Our design philosophy follows that focus on what’s real, tangible and impactful. We take a more modern, flat approach that emphasizes hard angles over soft curves. 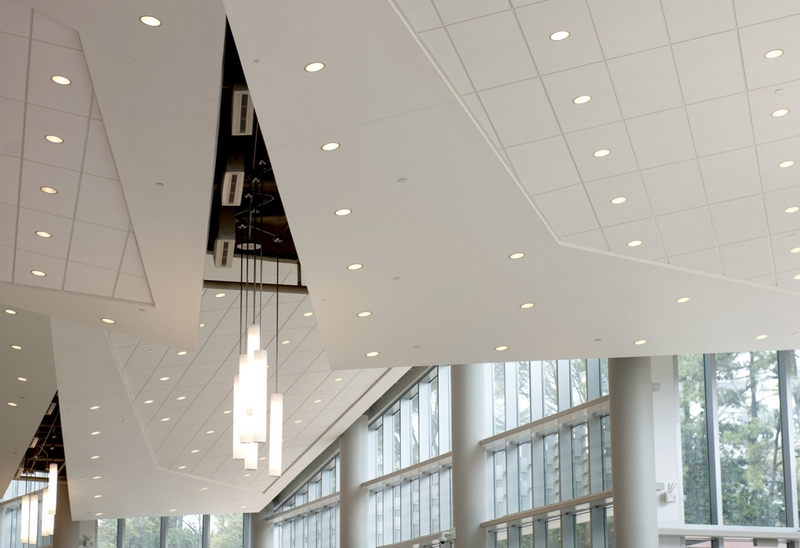 The ceiling of the renovated Talley Student Union reflects NC State’s angular aesthetic. Simplicity is the essence of our design philosophy. 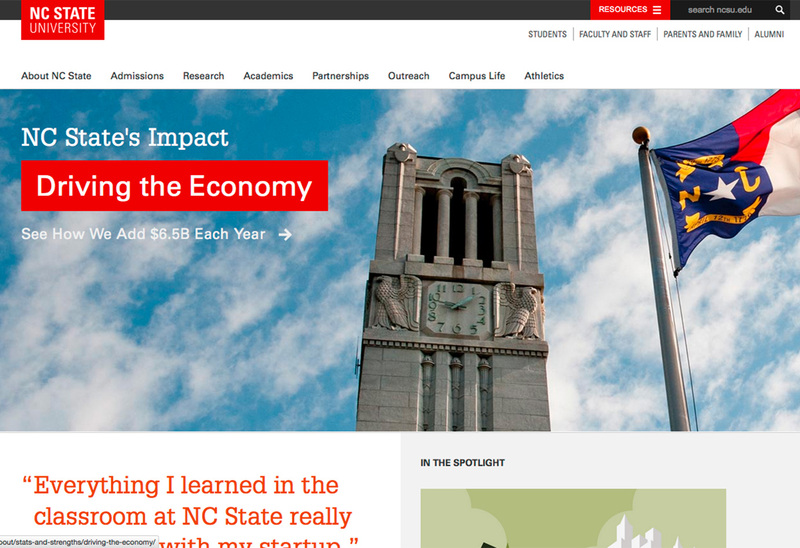 The NC State homepage is unadorned and straightforward, with a focus on clearly conveying information. We’re here to bridge the gaps and answer any questions you may have.